Babies, dogs, and food. Life's essentials. My brother-in-law gave this to me for Christmas and holy cow do I love it! The peppermint is so refreshing and my skin feels tighter and smoother after use. A little goes a long way, so do not be dissuaded by the cost. Love it! This moisturizer is okay. It isn't long lasting - by the middle of the day, if i have dry areas they are flaking. It is gentle and does not irritate my sensitive skin. However, I much prefer Cetaphil for a good daily moisturizer. Tried and true - I've been using Cetaphil for over 15 years. Every time I take a break from it, I end up coming back. It's gentle, moisturizing, non-greasy, and great at taking the day off. A little goes a long way, so it is actually quite affordable! NOthing can/should replace cleaning your face with soap and water. However, if you are too tired for the full regime, these wipes do the trick! First got them as a sample with my face wash and am now addicted! I try to use them sparingly, but always make sure to travel with them! For the price, this is the best quality serum with vitamin C that i have found. It's gentle to go on under your makeup and is not greasy in the least! These are our favorite diapers and we order from Amazon on subscribe and save so that they are almost the same as Target brand. These fit the best and also absorb the best so that our son doesn't wake up in the morning smelling like pee. Well worth the price! Great shampoo with easy lather and easy rinse. Prefer something that moisturizes more for a body wash, so we just use it as a shampoo. Kind of pricey, but lasts a long time! This shampoo and bodywash is good. A little goes a long ways! Lather is very nice for washing hair, but I prefer something more moisturizing for our body wash.
We love this body wash. 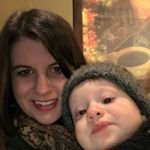 When my son was first born, he had moderate eczema. This moisturizing wash was exactly what he needed. It's gentle, scentless, and really does give the skin relief! It is our go-to body wash.